Dubturbo has rightfully gained a reputation for having some of the best pre-stocked sample kits of any beat making tool on the market. It’s rare that a tool comes with so many high quality samples, usually you have to purchase additional packs and kits to build such a high quality sound library. In this article I’m going to review some of the kits so you get an idea of just how awesome the dubturbo sound packs are. This was actually one of the things that really got my attention when I first heard about dubturbo, people were saying that it was worth picking up the software just to get access to the drums, instrumentals, fx, vocals, and themed kits that came preloaded in the software. And another great thing is that they are all extremely accessible because they are organized as .wav’s by folder. So if you want to import them into another tool or DAW then it’s super fast and easy. So let’s get right down to it and jump into the dubturbo sound kit reviews. For a more detailed look into dubturbo you can read this full review of dubturbo which covers the rest of the software. 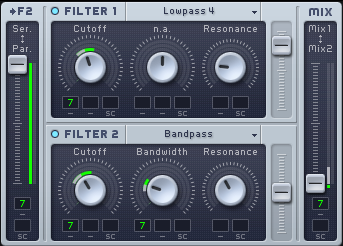 The dubturbo library is divided into 2 main areas. Drums (for making beats), and instrumentals (for making melodies, harmonies, and instrumental patterns). Within each of these areas there are a variety of kits that are themed and designed to help you make specific styles of music or to get a desired sound & style of production. Check out the chart below to see some of the preloaded Dubturbo Drum Kits! In addition to it’s awesome drums, dubturbo has an incredible instrumental library that has everything you need to create the music of your imagination. Whether you need sci fi FX, jazzy saxophones, luscious pads and strings, woodwinds, guitars, heavy bass drops, or ethnic melodies, dubturbo has you covered! Check out the chart below to get a peek at the instrumental library! As you can see, Dubturbo has EVERYTHING you need to get started with music production and creating any style of electronic music that you want. And if this wasn’t enough, the developers have also released a bunch of bonus kits that come FREE. This is another great thing about this software, the developers are constantly adding and releasing new sound kits to their members. This review of dubturbo’s sound kits wouldn’t be complete if I didn’t feature what I think are the best sample packs that come preloaded with the software. These have proven to be my favorite ones that I turn to time and time again. These have been released as bonus packs and that is a testament to the quality that the developers of this software strive to provide to their members. The wubwubs & wobbles is a new sound pack that has been designed for anyone looking to create dubstep. 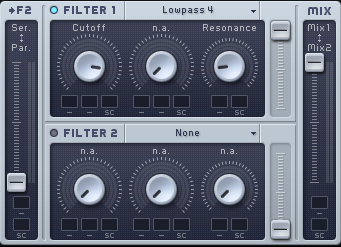 The developers also make a sick dubstep production tool called wobbleboss which has an amazing sound library, and so they decided to include the wobbleboss sound library with dubturbo for those who want to make dubstep. I have created some totally sick, pro sounding dubstep using these kits and they are some of the BEST on the market. Holly Staruch is an amazing in-house vocalist for Dubturbo, and you get access to a sick collection of her vocals and voxes that you can use on your electronic tracks. If you need vocals, or crazy vox effects then this sample pack has you totally covered from A to Z. This is an awesome kit for those of you who want to include signature ethnic sounds in your tracks. These types of melodies, rhythms, and fx have been a mainstay in hip hop and techno production for over 20 years, so if you want to make these styles then you definitely need to be using the ethnic collection! It should be obvious by now that dubturbo includes all of the samples, kits, sounds, drums, and instruments you need to make any style of music. Whether that’s hip hop, techno, jungle, dubstep, trip hop, pop, or breakbeats, with dubturbo you can make any style of electronic music you desire! There are over 1900 samples preloaded with the software, and on top of that you get bonus packs released on a regular basis. And if that wasn’t enough, on top of that you also have the option of upgrading with additional premium packs AND accessing their exclusive master producers collection which has everything you will ever need for a life time of producing any style of music you want! I hope this review of the dubturbo sound kits has been helpful to you. If you have any questions or suggestions please don’t hesitate to get in contact with us. Good luck, and keep making those beats. next Where Can You Get a Dubturbo Trial?